1.1 million people in the US are diagnosed with HIV/AIDS. 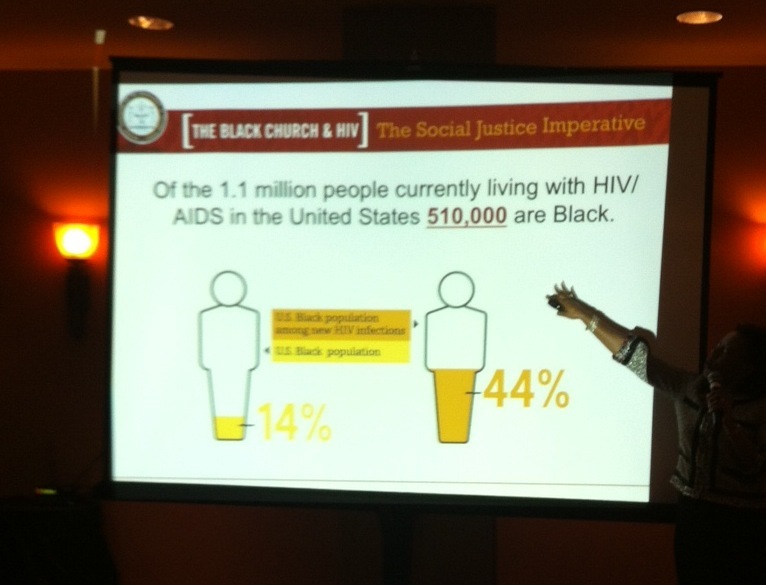 African-Americans comprise about half of all HIV-positive people in the United States. The NAACP is promoting education that might help halt the trend. 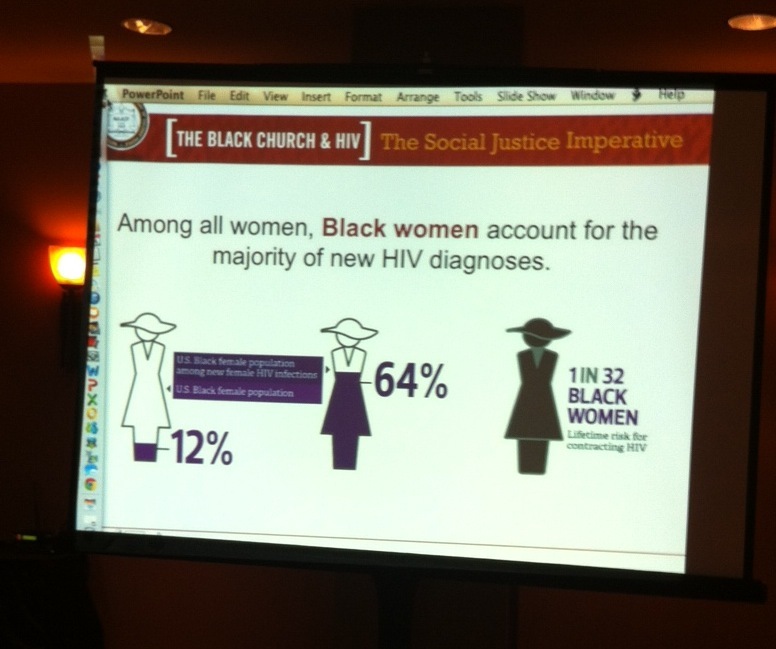 It held a forum on Thursday in Manhattan Beach on HIV, health equity, and the black church. The event, part of NAACP’s California Hawaii State Conference, drew an array of people, including Black pastors from South L.A. “We’ve been in this losing streak for a long time,” one said. What does it take to make a farmers’ market viable in a low-income community? 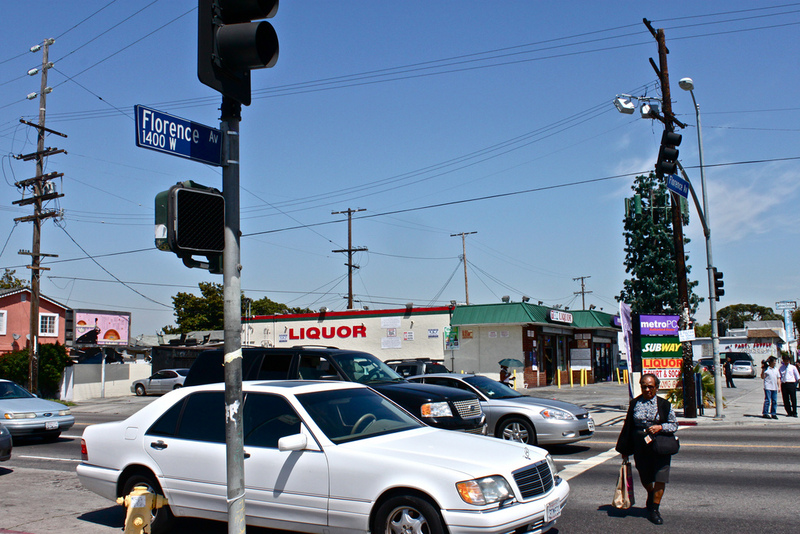 The answer is complicated in a neighborhood like Watts, where some people still remember when 103rd Street, which now borders a lively Saturday Farmers Market, was nicknamed “Charcoal Alley” because of the fires that burned buildings to the ground during the Watts Riot of 1965. 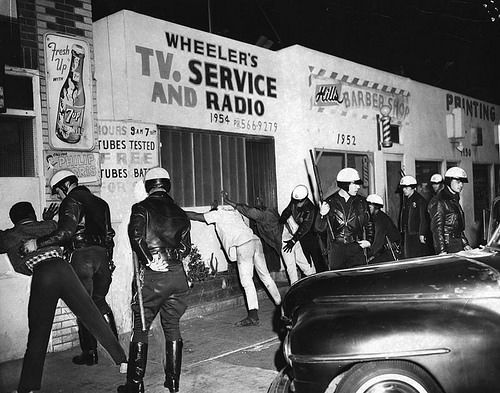 Many unhealthy conditions persist today that contributed to the powder keg atmosphere in South Los Angeles in the 1960s and again during the Rodney King Riot twenty years ago: high rates of unemployment, poverty and crime. Neighborhood schools continue to battle high dropout rates. Gang violence makes some people reluctant to visit unfamiliar territory – including the Farmers’ Market. In a neighborhood park on the corner of 103rd and Central Aves., an effort is underway to take steps toward a healthier South L.A.— by providing an affordable and welcoming place to buy fresh produce and to get good advice on nutrition. We took our most recent group of California Endowment Health Journalism Fellows to the Watts Healthy Farmers’ Market to hear from market founders and vendors, who detailed the successes and challenges they’ve encountered since the market opened in July 2007. 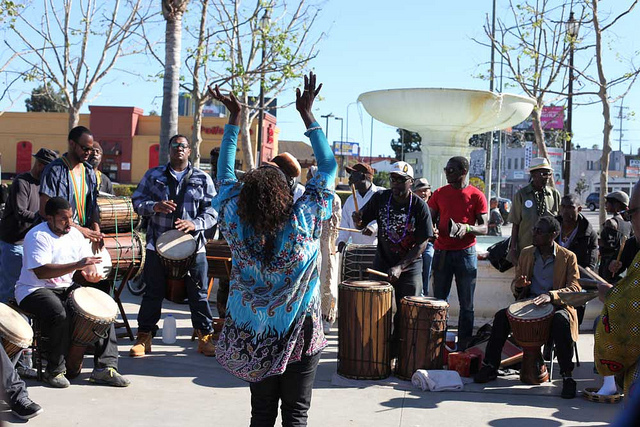 With grants from the California Community Foundation and Kaiser Permanente, plus ongoing support from the Watts Healthy Farmers’ Market Collaborative, the open-air market is held every Saturday in Ted Watkins Memorial Park. Or visit the Farmernet listing on the website published and operated by Sustainable Economic Enterprises of Los Angeles (SEE-LA), a private non-profit organization that operates several certified farmers’ markets in the City of Los Angeles. This story originally appeared on Reporting on Health. Wandering the Venice Boardwalk, it might be easy to image a Los Angeles where marijuana is legal and easily available. But while Proposition 19 might have seemed like an easy pass in California — the state home to the hippy movement, first to reduce the maximum penalty for possession of marijuana and first to allow it to be grown and consumed for medical purposes — the reality is a little more complicated. A poll conduced by the Los Angeles Times/USC on Proposition 19, which would legalize marijuana in California, shows opposition at 51 percent. Of the 441 likely voters polled by telephone, 39 percent support the measure. The poll also hints at the complex divisions between various demographic groups. Men, for example, are undecided on the issue, while women are more likely to vote against it. Republicans “overwhelmingly” opposed Proposition 19, while the legalization of marijuana is supported by most Democrats and Independents. According to the poll, voters under the age of 40 are more likely to support Proposition 19 with 48 percent indicating a “yes” vote, while 59 percent of older voters opposed it. Only 28 percent of voters 65 and older supported Prop. 19. 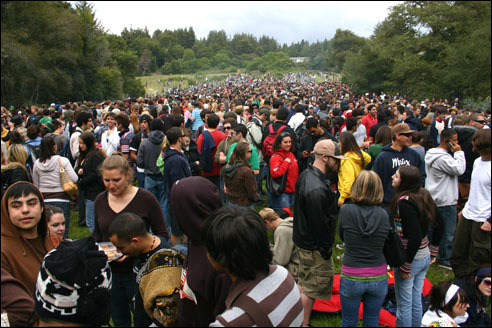 According to the LA Times/USC poll, Latino voters opposed the legalization of marijuana 2 to 1. White voters also opposed the measure in majority. So, who might be most likely to vote for the passage of Proposition 19? A left-leaning, twenty-something male from Santa Cruz. And least likely? A right-leaning woman in her late 60s from Bakersfield. But what about in Los Angeles? This politically and ethnically diverse city could go either way on the vote. What would Los Angeles be like as a city with legal weed? To begin with, smoking in public would still be illegal. Individuals would be able to carry up to an ounce without breaking the law. Lighting up in front of minors would be a big no-no, and so would driving. However, roadside impairment testing is extremely difficult for police, which may be considered cause for concern. What about the cost to buy marijuana? Well, pot could actually get cheaper. According to the Rand Drug Policy Research Center, the price of marijuana could drop significantly, by as much as 80 percent if legalized. Questions remain as to how much revenue sale and taxation of marijuana would bring into the state, and whether or not anti-marijuana laws would be enforced at a federal level. How are you planning to vote on Proposition 19? Let us know in the comments box below. About a dozen homeowners facing foreclosure protested Thursday at the Los Angeles County Courthouse. The demonstration was organized by the Home Defenders League, which is calling for a moratorium on foreclosure across California. Twenty-three states have already made this commitment. The movement has been fueled by homeowners angry at the banks for seizing homes. Across the country, millions of poeple have lost their homes. Peggy is one of them. They are losing their homes for a lot of reasons. Some lost their jobs, had health problems or could not handle escalating interest rates. Peggy is angry because she thought that after she lost her job, she was negotiating with the bank in good faith. Then, she received a notice of foreclosure without warning. The league is demanding that banks first negotiate with homeowners before putting their houses up on the auction block. Supporters say it would end tax breaks for big corporations. Opponents say it would hurt small businesses struggling to survive. Proposition 24 would repeal three laws passed in 2008 and 2009 that cut business taxes. Scott MacDonald is a spokesman for Stop Prop 24. He says those changes were designed to help small businesses weather times like these. That is not how Gregg Solkovits sees it. 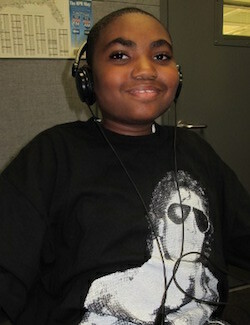 He is with United Teachers Los Angeles, which supports Proposition 24. Solkovits said with California’s budget problems, the state can no longer afford to give tax breaks. A poll taken last week showed voters tied, with a third still undecided. Proposition 21 is one of the measures on November’s ballet that does not seem to be making many waves. The proposition proposes to tack on $18 to register your vehicle at the Department of Motor Vehicles. That money will then fund state parks. Officials claim some state parks will be out of toilet paper by October. At first, this seems like a win-win situation. But not everyone at the downtown Los Angeles DMV has something good to say about it. It is 9 a.m. and there is a line outside the door. We do not know how many people showed up to register their cars, but we do know that in California last year, more than 22 million cars were registered. That is a lot of cars, and Proposition 21 plans to get $18 from every one of those drivers to help fund 278 state parks. Joshua Mendez showed up today to register his 1993 Honda Civic. He has to pay $175, but he is not too thrilled that those fees may go up. There are dozens of conservation groups across California. Some said the extra money was necessary. Adams said tax payers will see changes if the proposition is passed. One manager at the DMV declined to give her full name or be recorded. She said she has been there for 26 years, and no matter the cost, people will pay. Carlos Cuevas agreed. He was there to register his brand new truck, and he paid $600. “You have to do it,” Cuevas said. “You have to renew your plates. Because I need to drive to work. You have to drive around, and if you don’t pay, they’re going to stop you and give you a ticket,” Cuevas said. In November, tax payers will have to decide what is more important: keeping toilet paper stocked in their state parks or pocketing that extra $18. The Center for Immigration Studies (CIS) released a report last week that said California is last in a list of states ranked by the number of immigrants who have completed high school. The report further attributes this lack of education and the state’s sharp rise in inequality to mass immigration. But A State Resilient: Immigrant Integration and California’s Future offers a more balanced view of the center’s report. A State Resilient presents California’s standing in terms of education, inequality and the immigrant labor force. Though California has its share of educational challenges, Manuel Pastor, Justin Scoggins and Jennifer Tran of the Center for the Study of Immigrant Integration (CSII) believe it is important to clearly understand the facts. They also argued that, if the state’s immigrant workforce really contributed to a slip in the quality of the workforce, it is difficult to parallel that with the state’s high standing when it comes to median household income and gross domestic product employed per worker.